There is a wealth of research that confirms the impact of nurses on public health. According to Gallup Poll surveys published in the last decade, nursing is the most trusted profession based on honesty and ethical standards. The positive perception of the public towards the profession is just one of many reasons for the increase in nursing school admissions. Yet, hundreds of qualified candidates are turned away each year due to limited enrollment in the programs. The Associate Degree in Nursing program draws numerous applications as it is the fastest and most affordable path to prepare for practice as a Registered Nurse. Students who complete the requirements for the degree are eligible to take the National Council Licensure Exam just as graduates of the Bachelor of Science in Nursing. Graduates of both programs may use the title of Registered Nurse after passing the licensure exam. Nursing is an exciting and challenging profession. It’s a great time to be a nurse if you enjoy caring for others and want to enlist in a profession where there’s diversity and opportunities for growth. Nurses have a central role in the health care system as they lower the overall cost of patient care and improve outcomes. A state-wide shortage of nurses may be challenging for administrators but is promising for new nurse graduates who will benefit from sign on bonuses, competitive salaries, and tuition reimbursement. North Carolina employers are especially in need of nurses to attend to the needs of patients in rural areas who lack access to quality medical care. Nurses who complete the ADN program can improve their career prospects by transitioning to the BSN through bridge programs. More hospitals prefer the BSN degree as the minimum educational preparation for their nurses due to complexities in health care delivery. The Master of Science is also an option for registered nurses who want to practice at the advanced level. There is a growing need for primary care practitioners in rural areas where there is a shortage of primary care physicians. Wake Technical Community College facilitates an Associate Degree Nursing program that supports the development of knowledge, skills, and competencies needs to integrate safe and quality in the practice of nursing. Students will learn how to meet patients’ needs in a way that will impact their health, quality of life, and outcomes. The coursework material will include as its foundation the domains of healthcare, holistic care, and nursing practice. Emphasis will be placed on the nurse as a part of the interdisciplinary team. Students who complete the program will be eligible to apply to take the NCLEX for Registered Nurses for licensure in the state. An advanced placement option is available for Licensed Practical Nurses to complete the requirements for an Associate Nursing Degree after completing 53 credits. The cost of tuition is $76 per credit for in-state students. The total cost of tuition is $5,184 ($76 x 72 credits). Additional costs include textbooks, student activity fee, professional liability insurance, ATI test, CPR certification, criminal background check, drug testing, NCLEX application, NC licensure, physical exam, immunization, uniforms, shoes, stethoscope, scissors, and watch. The Associate Degree Nursing program at Durham Tech prepares adults to practice nursing in the complex and fast-pace health care environment. Theory and practical coursework builds on the domains of healthcare, the holistic individual, and nursing practice so students will function as competent members of the interdisciplinary team. Clinical experiences in various health care facilities will include 12-hour shifts during the week as well as weekend shifts. Program graduates will be eligible to apply to take the NCLEX for Registered Nurses. Licensed Practical Nurses may apply for advanced placement in the program. The program admits new students in the fall semester. The class size is limited to 16 students. The total cost of tuition is $5,320. Additional costs include textbooks, fees, background check, physical exam and immunization, uniforms, shoes, nursing supplies, professional liability insurance, and CPR certification. The Associate Degree Nursing program is offered by Watts School of Nursing through a partnership with the University of Mount Olives. 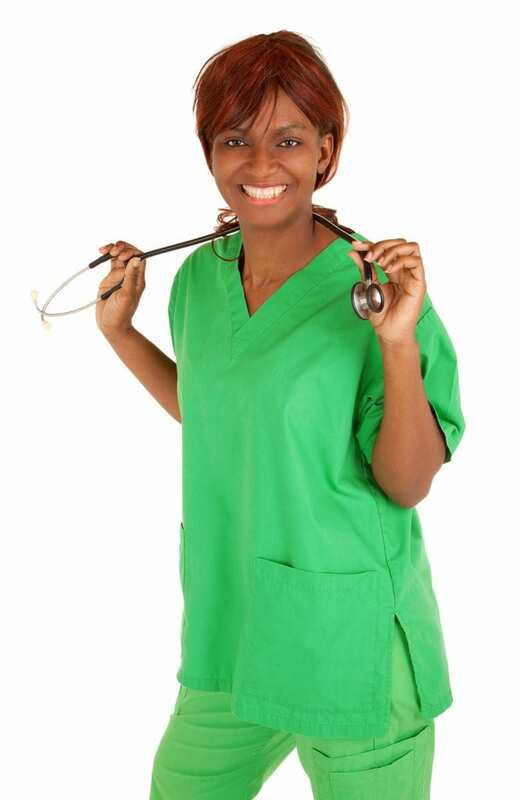 The student will complete the prerequisite courses at Watts and receive a Diploma in Nursing. The curriculum will include lectures, hands-on practice in simulation labs, and clinical experiences that begin in the first semester. Supervised patient care activities will give students the opportunity to refine nursing skills as they work with interdisciplinary teams in acute care, clinics, long-term care facilities, and schools. The fourth semester study will include over 100 hours of clinical rotations as students transition to nursing practice. Graduates will be eligible to apply to take the NLCEX for licensure as a Registered Nurse. The total cost of tuition at Watts Nursing School and the University of Mount Olive is $41,495 to $48,555. The cost includes tuition for 48 credit hours, admission fee, fees, books, supplies, uniforms, and graduation fee. Central Carolina Community College’s Associate Degree Nursing program incorporates skills practice and real world experiences with theoretical instruction to prepare students for nursing practice in the complex health care environment. The coursework has its foundation in holistic care, health care domains, and nursing practice to equip students with the competencies to provide individualized care, focus on safety and quality, and achieve their full potential through the continuation of their learning to the bachelor’s degree and beyond. Students who complete the required 73 credit hours will receive the Associate Degree and be eligible to sit for the NCLEX for licensure as a Registered Nurse. The total cost of attendance is $9,344. The cost includes tuition for five semesters, books, malpractice insurance, technology fee, student fee, and NCLEX Board Exam. The Associate Degree Nursing program at Johnston Community College emphasizes the nurse as a member of the interdisciplinary team. The curriculum will include theory, hands-on practice in a simulated lab, and supervised clinical rotations in various health care facilities. The program is targeted to individuals with some experience in healthcare – education as a Certified Nurse Aide I is required for admission. Licensed Practical Nurses may apply for advanced placement in the program if they possess a current unrestricted license to practice. Graduates will be eligible to apply to the State Board of Nursing to take the NCLEX for Registered Nurses. New students are admitted in the Fall semester. The approximate cost of the program is $7777.50. The cost includes tuition, fees, Healthcare Provider registration, nursing books, uniforms, professional liability insurance, physical exam, criminal background and drug screen, admission test, and licensure exam fee. An adult who graduates from the Associate Degree Nursing program at Wilson Community College will have the skills and competencies to practice as an entry-level nurse in acute and long-term care facilities. They will also be able to demonstrate their educational competencies through passage of the NCLEX for Registered Nurses. Theory and practical work will prepare students for the practice of nurse to meet the health care needs of patients across the lifespan. A core competency is their ability to use evidence in the provision of care to individuals and families. Instructors will use lectures and activities in the classroom, lab activities in a modern lab, open lab sessions, and facilitated learning experiences in a healthcare environment. Licensed practice nurses who hold a current unrestricted license to practice may apply for advanced placement in the program. Day and evening schedules are available. The approximate cost for the ADN program is $9160.96. Included costs are books and supplies, uniforms, ATI test fee, malpractice insurance, and school fees. The Associate Degree Nursing program at Samson Community College provides the theory and practical instruction that adults need to entry the rewarding career of nursing. The curriculum provides the foundational concepts in nursing that will enable graduates to take the NCLEX-RN with confidence and pursue additional studies such as a bachelor’s and master’s degree in nursing. Practical activities in a simulation lab and supervised clinical rotations will solidify the nursing principles covered in the classroom. Licensed Practical Nurses with an accredited diploma and active licensure in the state can apply to the in the program. Applicants under this track must validate their nursing knowledge and skills by providing relevant documents and obtaining a minimum score of 80 on the NACE – Nursing Acceleration Challenge Exam. The cost of tuition is $76 per credit – not to exceed $1,216 per semester. The cost to complete 67 credits will be $5,092. Additional costs include ATI testing, textbooks, uniforms, CPR certification, fees, malpractice insurance, physical exam, immunization, TB test, drug screen, and criminal background check.